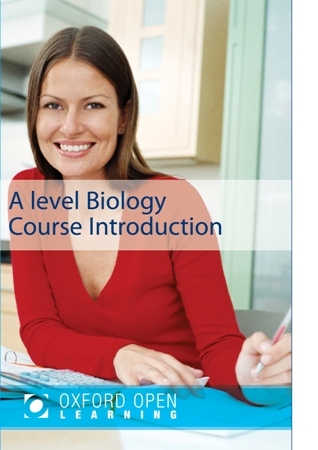 Biology A level, The Study of Life. Biology is the study of life: its organisms, its cells, its molecular basis, its history and the ecosystems that it inhabits. It examines animals, plants, bacteria and viruses, it investigates how genetic information is encoded and passed on, and it explores the application of this knowledge in medicine, agriculture and industry. Biology is a fascinating subject in its own right, but it also deals with topics of pressing human concern such as disease and health, biodiversity and conservation, food production and processing, and cloning and genetic engineering. It is essential to an intelligent understanding of many of the pressing problems facing the human species in the 21st Century. The Oxford Open Learning A level Biology course takes you from ground level right to the cutting edge of this exciting and rapidly-developing discipline. Accessible even if you have done little science before, it opens the door to courses in Nursing, Physiotherapy and Sports Science. If combined with Mathematics or another science subject, it also provides access to university courses in a wide variety of biological disciplines. The course includes regular Tutor-Marked Assignments, is based on a syllabus-specific textbook, and makes full use of online resources. You will have the phone and email support of a dedicated tutor throughout. These papers also test knowledge of the 16 Core Practicals listed in the specification. The Biology A level (although not the AS) specification also lists a number of practical skills to be internally assessed by teachers. This assessment leads to a statement of “practical competency” – simply a pass – which is reported alongside the grade on the final A level certificate. It will not be possible for you to be tested in this way. However, it is not necessary to obtain a statement of practical competency to obtain an A level grade and certificate, and lack of a pass in them has no effect. Please ask to speak to a Student Adviser if you would like any more information or help on this topic. The specification assumes that you have obtained a grade C or above at (I)GCSE Biology or Double Award Science. 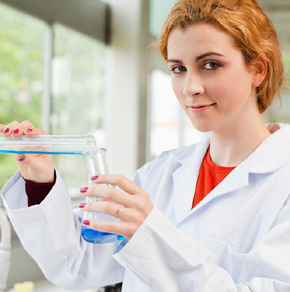 The Biology A level specification also assumes some of the Chemistry studied at (I)GCSE. This is covered by the course and textbook, but you will need to do some extra work if these ideas are new to you. 10% of the marks are awarded for using Mathematics in a biological context. The level corresponds to the higher tier mathematics GCSE. The relevant areas of Mathematics are covered by the course and a dedicated chapter of the textbook. What will the study of Biology enable me to do? How long is the support period for the course? When you start your course you will agree your intended examination date with your Student Adviser. You will continue to receive support right up to this examination date. If you need to defer your examination date this is usually possible for a small administration fee, currently £15. The Biology A level costs £395. This can either be paid in one payment or you can take advantage of our easy payment scheme. You will be responsible for paying the examination entry fees to your chosen centre. Why Distance Learning rather than an Online Course? In some ways a Biology A-level online course achieves the same aim as a distance learning course, in that you can study anywhere you want at any time, enabling you to fit your study around your work and lifestyle. However, we believe that you will find it easier to study from a printed course pack that you can annotate and add your own notes to. 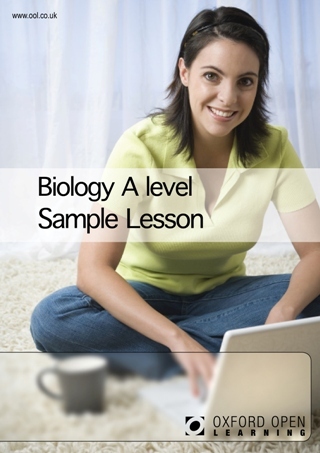 With our Biology A-level course, you can contact your tutor and send in your assignments by email; the course materials are full of tips on how to use the internet to enhance your study. However, it is worth remembering that when you sit your exams you will have to write them using good old-fashioned pen and paper. Not many of us practise this any more and you would be wise to practise prior to entering the exam room. After all, your pen isn’t going to auto-correct your spelling and grammar. Your tutor is your greatest resource. All our tutors are PGCE-qualified or equivalent and experienced in their fields. If you are having any difficulty understanding the course then the very best thing you can do is pick up the phone and speak to your tutor. He or she will be really happy to help.